The C.I.E. Chromaticity Diagram is a plot of X versus Y for all visible colors. The Commission Internationale de l’Elcairage (C.I.E.) XYZ model defines three primaries mingled in an additive manner called X, Y and Z that can be combined to match any color humans see. 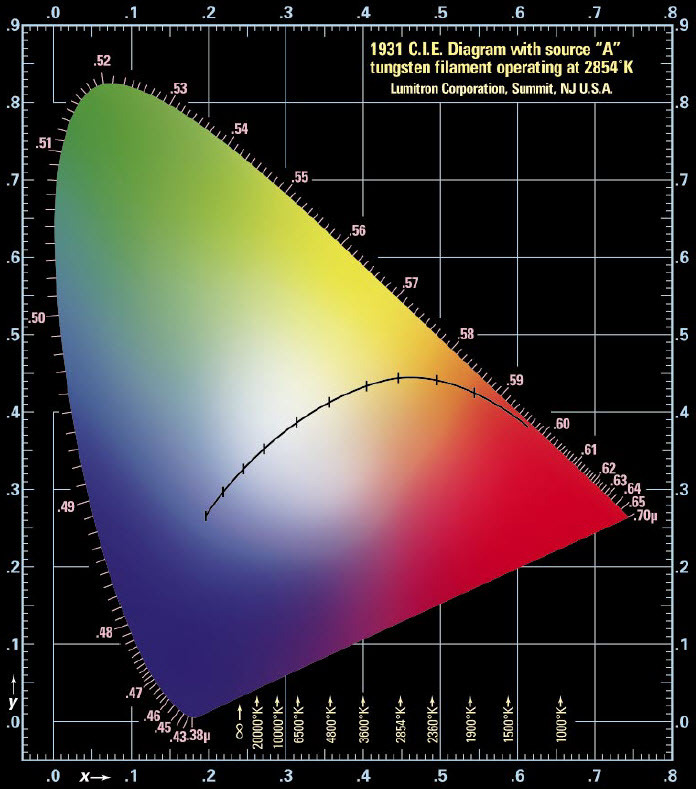 This relates to the tristimulus theory of color perception, which states that the human retina has 3 kinds of cones with peak sensitivities to 580 nm (“red”), 545 nm (“green”) and 440 nm (“blue”). Knowing x and y, z can be found as z = 1 – x – y. Each point on the edge of the C.I.E. 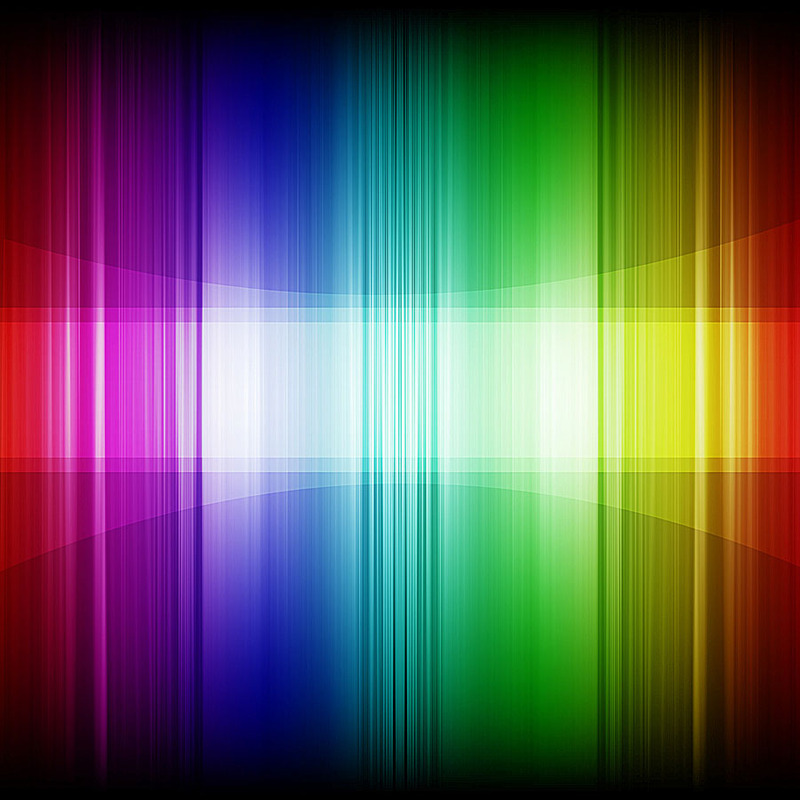 Chromaticity Diagram denotes a pure color of a specific wavelength. White is at the center where all colors combine equally (x = y = z = 1/3). Call 908.508.9100 or email us at sales@lumitron.com with your product questions or to place an order.